If you wake up feeling groggy every morning or have a difficult time concentrating throughout the day, you could have sleep apnea. Apnea is Greek for “without breath.” People who suffer from sleep apnea literally stop breathing while they sleep, for about 5-15 seconds at a time. Sleep apnea is one of the leading causes of chronic sleep deprivation, daytime sleepiness, and poor concentration and can lead to more serious conditions if left untreated and without general dental care. What happens if sleep apnea is untreated? Sleep apnea can be treated in a number of ways. CPAP- Continuous positive airway pressure therapy CPAP is a machine that treats obstructive sleep apnea by providing a flow of positive-pressure air through a mask to splint the airway open during sleep. 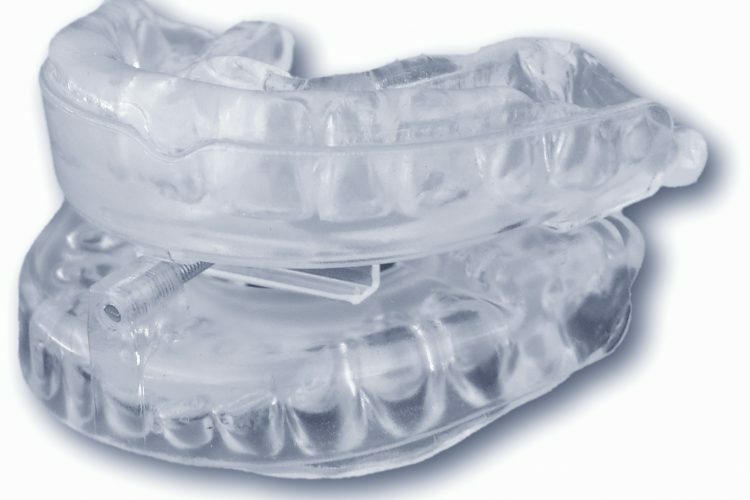 However CPAP is one of the most common treatments, but many patients have a difficult time adapting to the bulky CPAP mask. If this sounds like you, you’ve come to the right place. Dental/Oral appliance therapy is a comfortable and effective alternative that eliminates the bulky mask. It’s worn in the mouth while sleeping to help prevent soft throat tissue from collapsing and obstructing the air way. Some of the devices hold the lower jaw forward while other appliances directly affect the tongue position. The goal of any of the dental devices is to open the airway to ensure that you breathe properly while sleeping and can, finally, get a good night’s rest. Contact The Newport Beach Dentist -Dr. Haroonian for a consultation on sleep apnea and possible options. Diagnosis is the first step. Upon evaluation by Dr. Haroonian, we will refer you for a sleep study to be done by a sleep lab and a board certified sleep physician. Based on the result of the sleep study CPAP machine or an oral appliance that is suitable for your condition will be prescribed and delivered to you. Adjustment follow up visits with Dr. Haroonian as necessary. Retest with either a home study or a sleep study on the designated sleep center, to determine if the therapy is working. Follow up to make sure the therapy is working and the patient is comfortable using the appliance. If you suspect or your partner have sleep apnea, contact our office today to schedule a consultation.